A beautifully colored, slightly shorter specimen with nodding, double ruby-red flowers that rise on red stems. 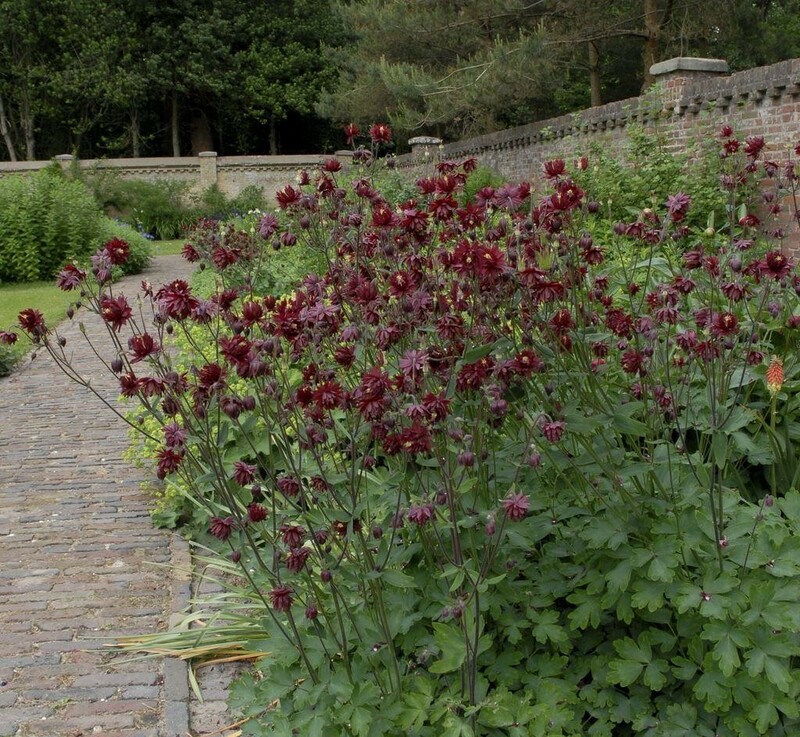 This popular plant, particularly among garden designers, really is lovely with the its fully double, spur-less burgundy flowers appearing in late spring above ferny green leaves. 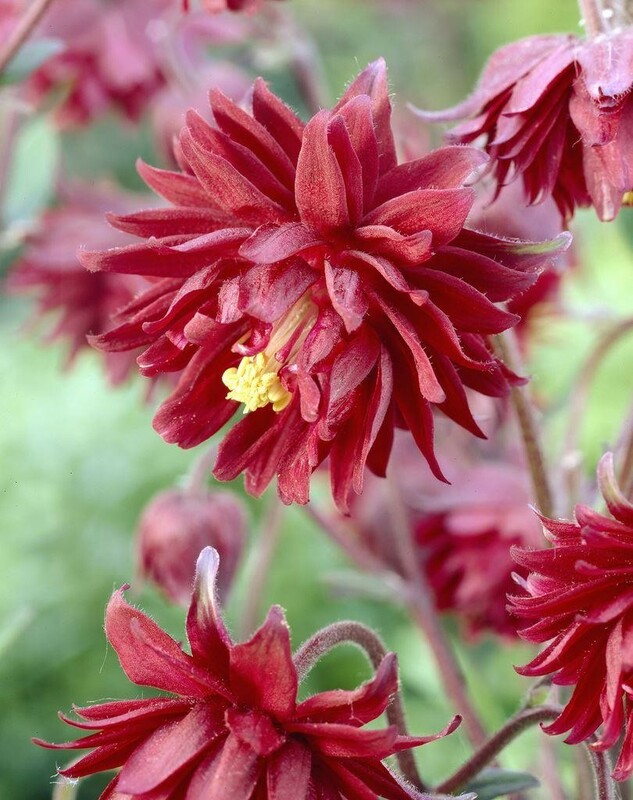 The rich, deep red flowers look particularly lovely with fountainous grasses or with traditional cottage garden flowers. Also, makes a superb gift for the gardener that likes a tipple of its namesake, or for that special ruby anniversary. Supplied in 2-3 litre containers.